I discovered a cool tutorial that is really worth learning – creating a melting text. 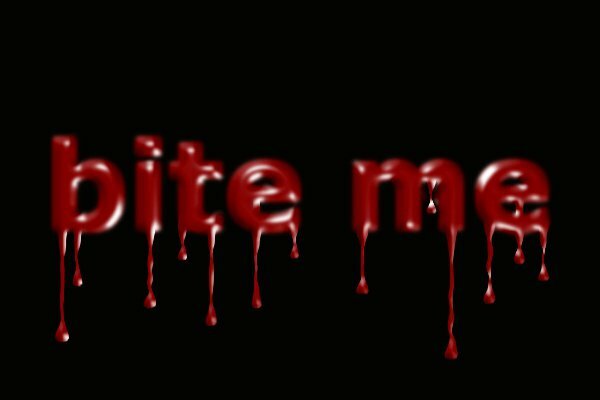 It can be a bloody text or a melting chocolate text. Let’s start!!! 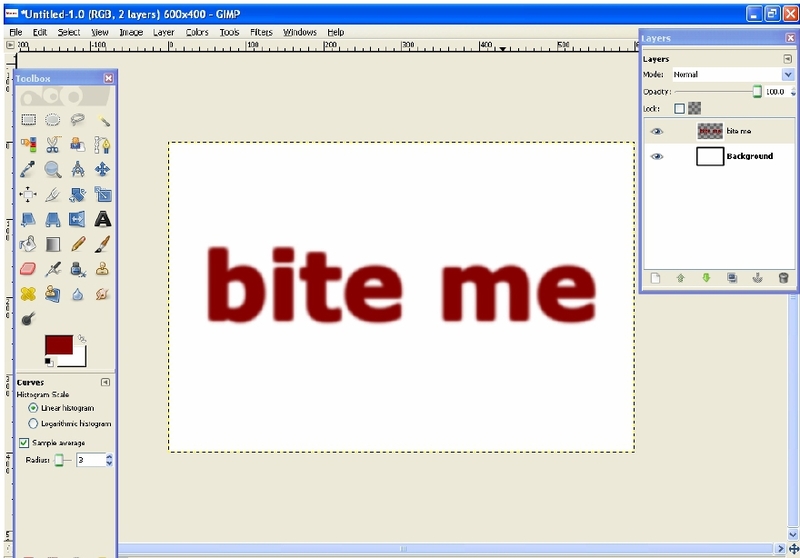 Create a new file with the size of 600 x 400px with white background. 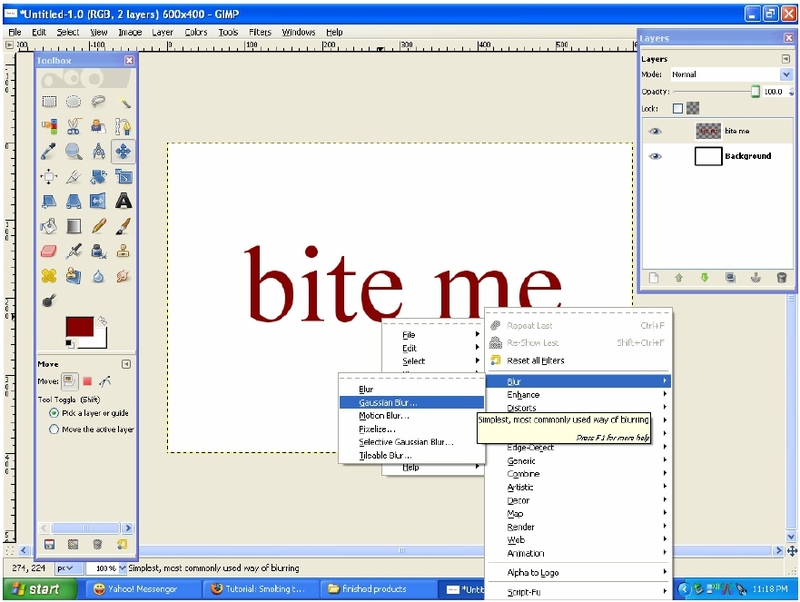 Write your words with any desired font and size. I chose Sans font. Make the color dark red (#870000). 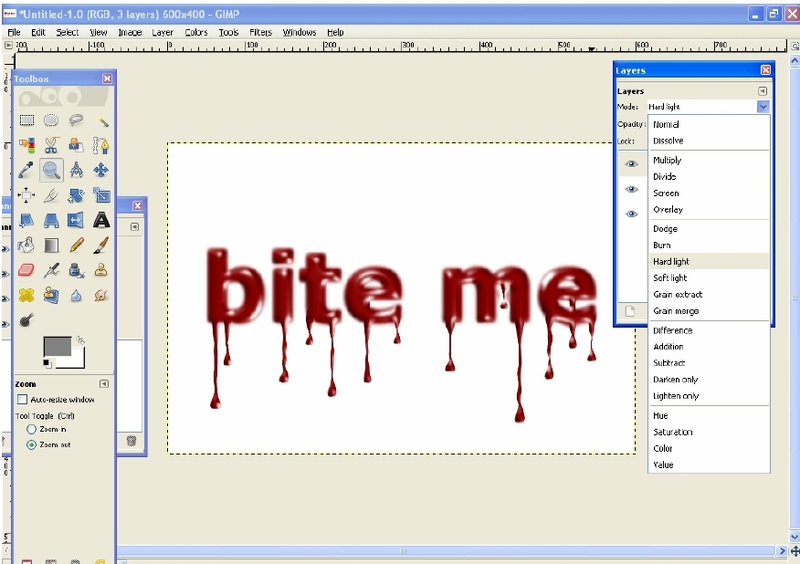 Once you are satisfied with your text, right click on the layer and click layer to image size. You will be unable to make changes with it once you’ve done this. The next step is optional but it will look better if it has rounded corners. I used the gaussian blur in doing this. Right click on the text. Filter>Blur>Gaussian Blur. I made it 5px. After which, right click on the layer. Then select duplicate layer . Do this twice or thrice as long as you achieve the roundness that you want. 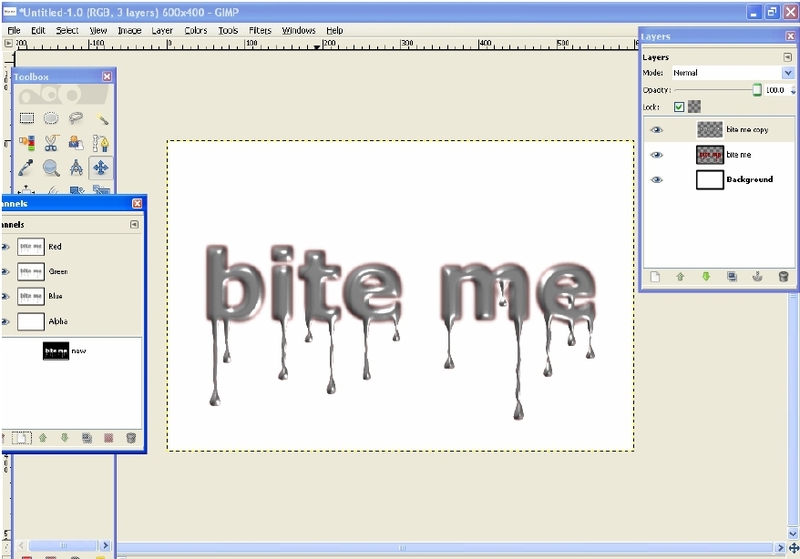 Then merge down the duplicate layers. Now, create a new layer and choose the pencil tool. The color should be the same as before – #870000. The brush or the strength of the pencil should be 7. Draw even vertical lines down (tip: click a single dot somewhere on the text – the starting point – then hold shift and set the endpoint). Do this a few times where you want the text to melt down. Once you’re done, click “Merge down” by right clicking in the layers dialog. The text layer and the lines should then be on a single layer. To make the smelting/melting more realistic, right click on the image: Filters>Distorts>IWarp>Choose “grow”. Deform radius: 9, Deform amount: 0.15. Work is done on the preview-window of this filter. 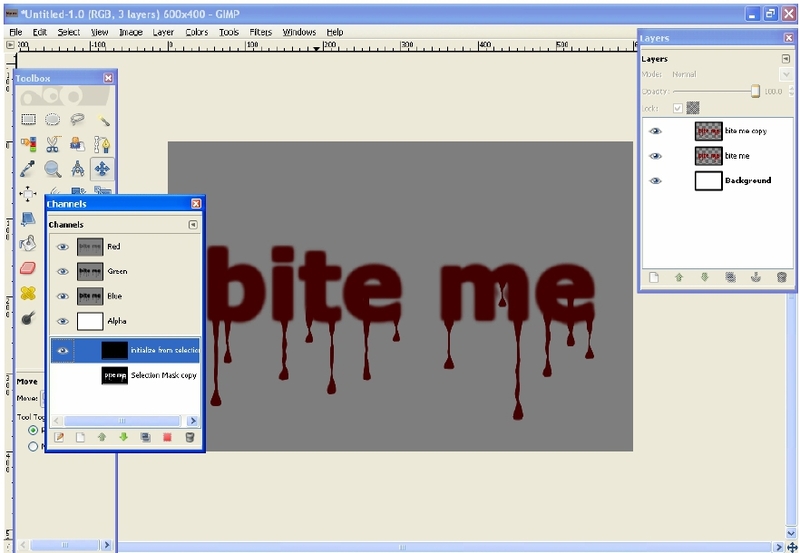 Let’s work first on the area where the ‘blood’ is coming out of the text and running down. 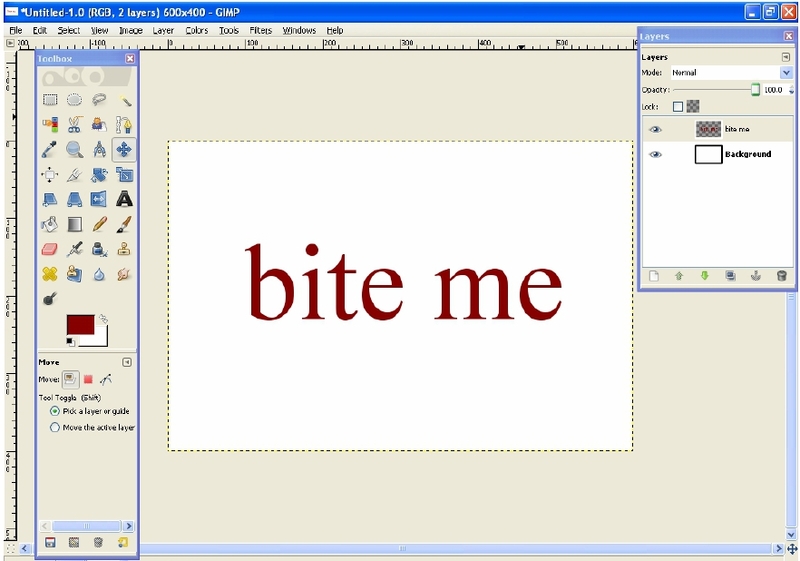 Click and hold your mouse down at the exitpoint of the blood of the text and make small circular movements. The hard edges will now look more as they would have been a part of the text. Repeat this for every line. Then do the same thing at the end of the lines making them look like drops. Afterwards, select “shrink”. Now shrink the middle parts of the lines so that they become much thinner. To do this, move the mouse (while holding down the mouse button) from top to bottom until you find it thin enough. Make it uneven to look real. If you are already satisfied with the results at this point, then you’re already done! But if you want to make it look even more like blood, then we still have work to do! 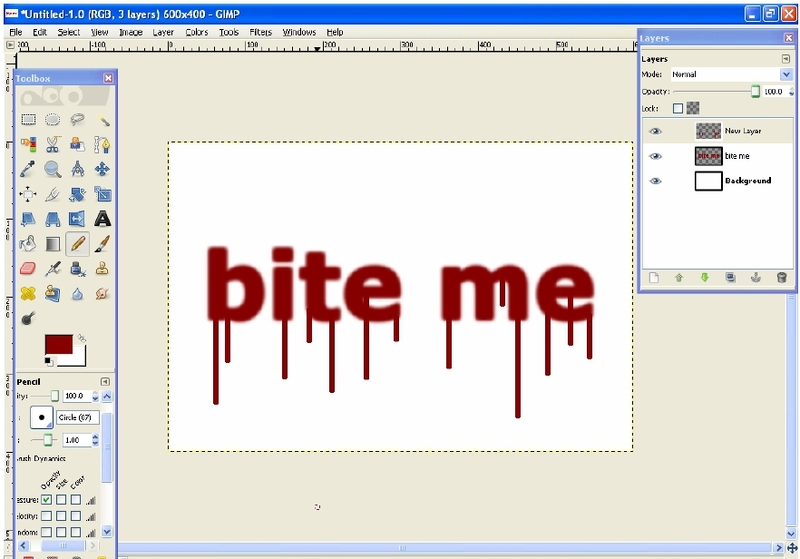 Duplicate the layer with the blood and click the “Lock” button in the layers dialog (it is found above the layers). Then right click on the duplicate layer dialog and choose “Alpha to Selection“. Click the Channels dialog (Select>Save to Channel) then add a new channel (click on the “Initialize from selection” box). Click the new channel in the channels dialog, then go to Select>None. Apply Gaussian Blur 4 times with these values: 10px, 6px, 3px and 1 px. 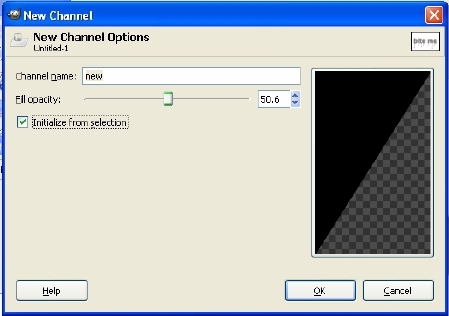 Click the eye icon of the channel to make it invisible then go back to the layers dialog box. 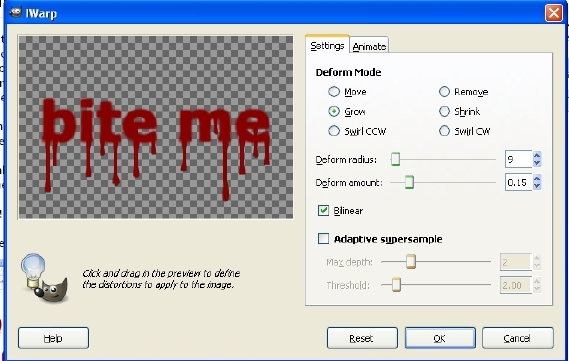 Click the duplicated blood layer. Choose #818181 as new foreground color. Then click Edit>Fill with FG Color. The duplicated layer should now be all gray. 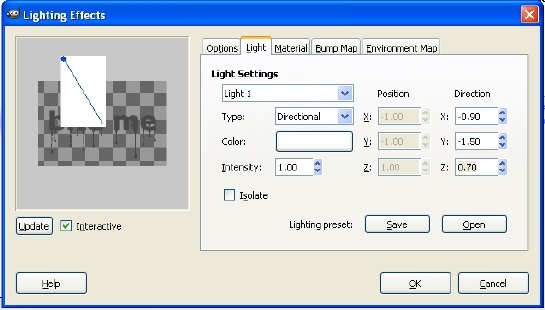 Next: Select Filters>>Lights and Shadow>Lighting Effects. 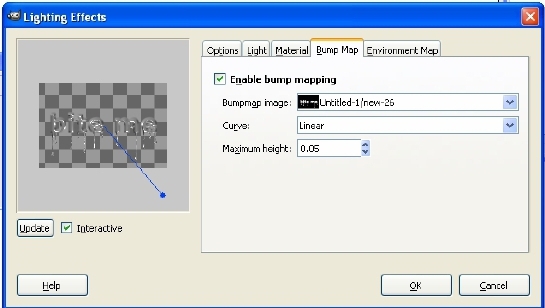 As bump map choose the channel we just created, maximum height: 0.05. 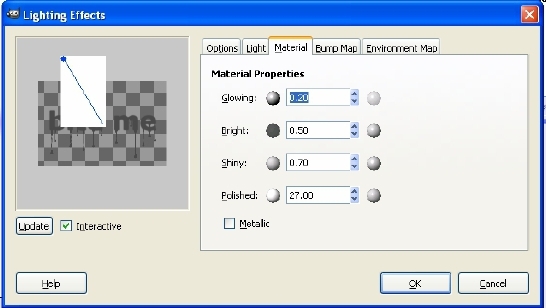 While for the Materials tab, choose the values on the picture below. 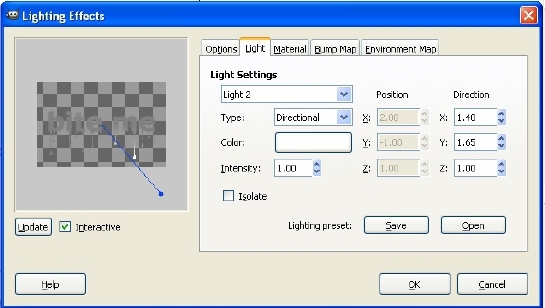 Set the layers mode (found on top of the layers dialog box) to “Hard light” and viola! you now have a nice dark dripping blood. Now add your own effects. You can change the color of your background layer. I made mine black. See my final output below.